Take 4 to 6 properly washed strawberries in a small bowl and use a fork to mash them. Then add a tablespoon of yogurt to it and mix them well. 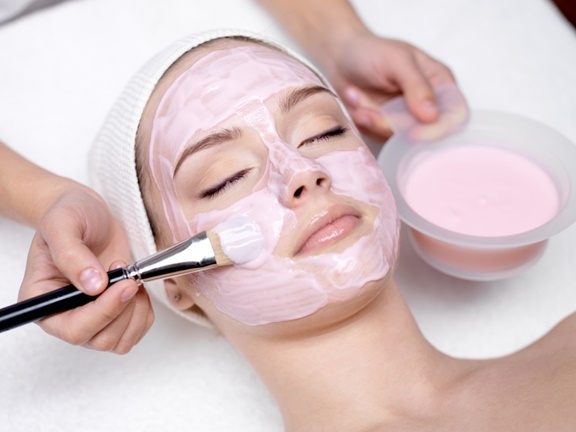 Make a smooth paste and gently apply it on the face evenly. After 15 minutes rinse with cold water.It is considered very helpful to balance your skin oil. Take an egg white in a bowl and thoroughly beat it. Mash half an avocado such that you get a soft pulp. Now put beaten egg, mashed avocado and a tablespoon of lime in a blender. Mix them well and apply this mixture on the face. After 15 minutes rinse it off. This will you an oil free, smooth and clear skin. Take tomato juice, cucumber juice and lemon juice. Add a little calamine powder or gram flour(Besan) to it. Make a paste and gently apply it on the skin. when dries then wash off with lukewarm water. It cleanses the skin and adds glow to it. Tomato has toning agents so it helps in toning the open pores caused with oily skin. Make a paste of equal amount of Honey and Lemon juice then gently apply it on the skin. After 15 minutes rinse off with slightly warm water.It will reduces the tan and oil from the skin. Dry orange and lemon peels and make a powder. Add rose water and milk cream to it then blend them well and gently apply on skin. When dry then wash off with water .It clears the complexion and makes the skin tone even. It is very useful for treatment of extra oily skin. Take in a cup half a cup of besan (gram flour), 2 table spoons of turmeric powder, 2 table spoon of sandal wood powder, 2 table spoon of ghee or almond oil, add some water to make a paste. Apply to face and whole body and leave for 5 to10 minutes. Rub with pressure with both palms and fingers to remove all the paste then rinse off with slightly warm water.